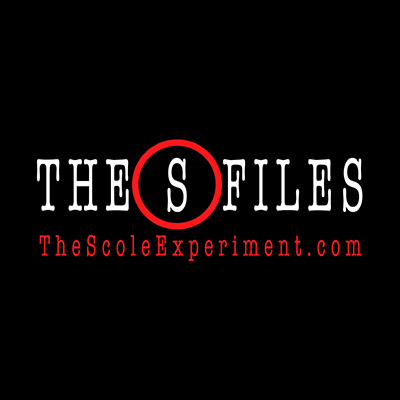 Update 19th Apr 2018: Grant & Jane Solomon have written the screenplay for 'The Scole Experiment' Movie with Award-Winning Hollywood Producer/Director, Rory Rooney. 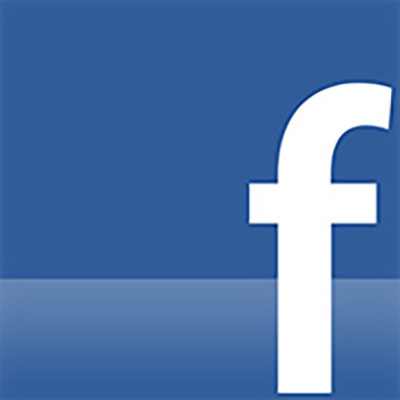 This script has been lodged with the Writers' Guild of America and is currently being presented to film production companies and read by actors. Update 24th Jun 2018: International producers have contacted Scole producer, Rory Rooney, expressing interest in partnering on the project. Update 8th Aug 2018: Award-Winning Film/TV producer Andrew Deane (@AndrewdDeane) of Industry Entertainment Partners, a leading Hollywood management/production company, has joined Rory Rooney on 'The Scole Experiment' movie project. Andrew has produced movies starring leading actors - e.g. Bruce Willis/Richard Gere/Martin Sheen; as well as a number of TV series - e.g. 'Masters of Science Fiction'/'Masters of Horror'/'Miracles'. His Netflix (fiction) series, ‘Messiah’, launches in 2019. 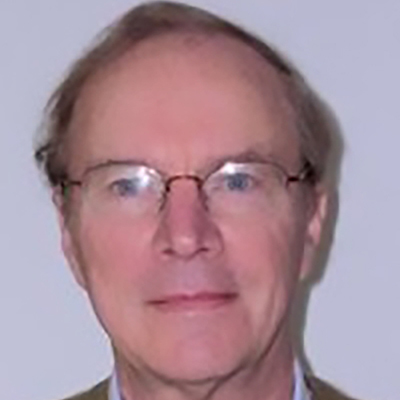 Andrew is a judge at the 2018 Norwich Film Festival... www.NorwichFilmFestival.co.uk/2018-film-judges. Update 21st Sep 2018: The screenplay development process continues with completion of Draft 008. 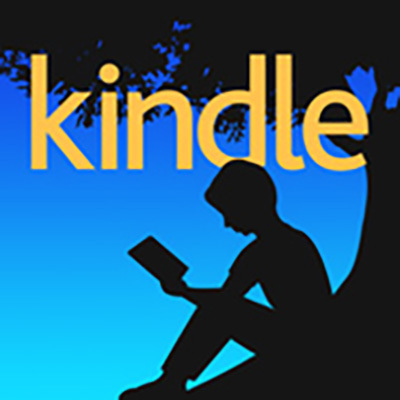 Update 11th Mar 2019: Draft 009 of the screenplay is nearing completion. 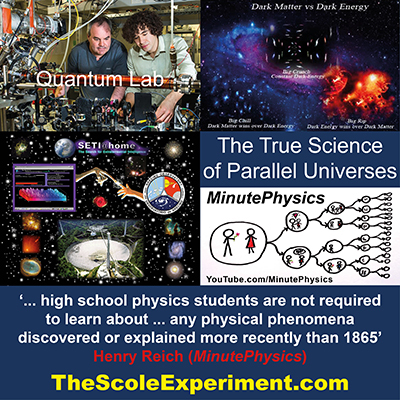 (1993-1998) The Scole Experiment Overview: Context and Background... A five-year, 500-session, 1000-hour, multi-country, multi-disciplinary experiment testing paranormal evidence for 'life after death' and 'other dimensions' of conscious existence. 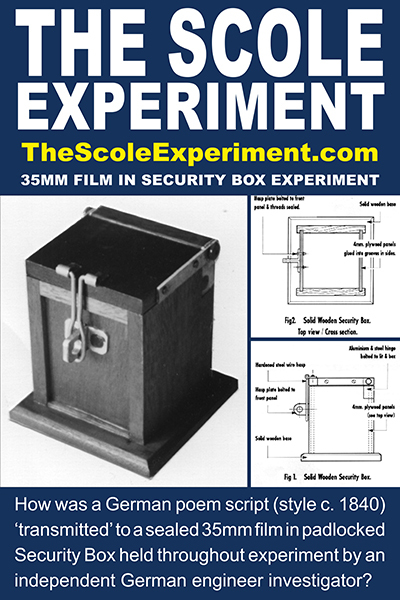 Consultant Engineer, Dr Walter Schnittger, travelled to take part in The Scole Experiment from Germany to oversee the security for the 'padlocked box' paranormal photographic experiments. 'I have no normal explanation for how the images got onto the film'. (1993-1998) The Scole Experience: What was it like to be there? Jennifer Jones, from England, attended The Scole Experiment sessions. 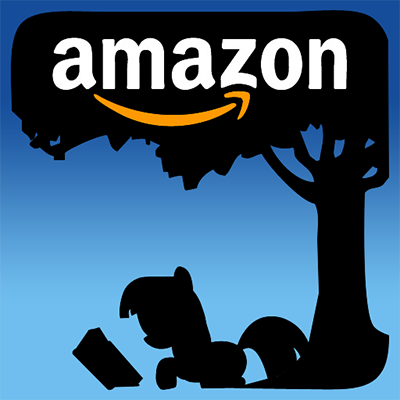 She describes her experience and reaction as 'a very fast little Light flew around the Scole Cellar, went into my hair, and buzzed around in it like a bee'. 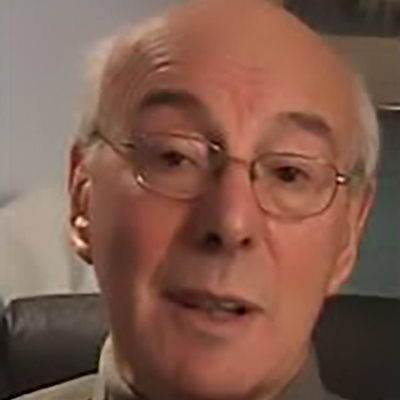 American George Dalzell, a Licensed Clinical Bereavement Counsellor, had no 'normal' explanation for his experiences when The Scole Experiment was demonstrated in the USA. Here he confirms that 'the Lights obeyed my thoughts'. 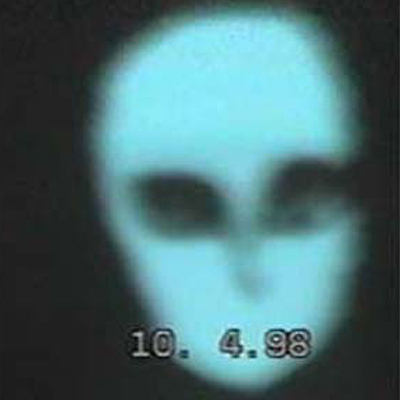 (1993-1998) The Scole Experiments: Paranormal Science researchers attempt to make two-way contact with the 'Team of Many Minds', 'Communicators' from the Afterlife and Other Dimensions. 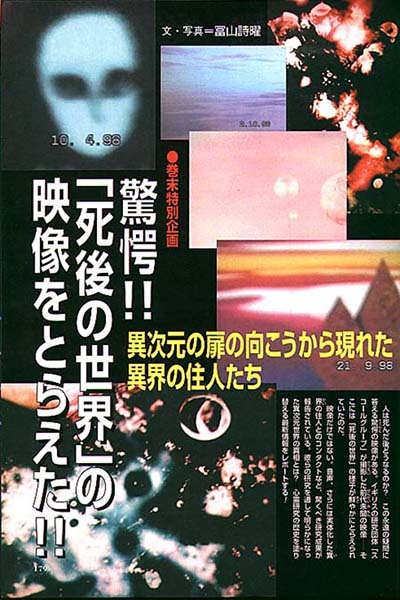 (1993-1998) The Scole Evidence: The results of the The Scole Experiments included Paranormal Evidence in the form of photographic images, audio recordings, and video streams. 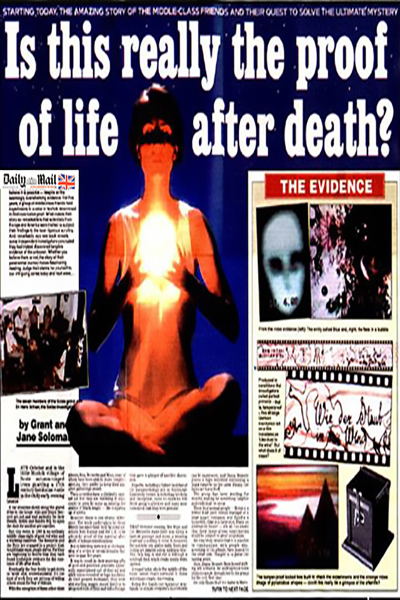 (1999) Publication of The Scole Experiment: Scientific Evidence for Life After Death by 'paranormal' journalists and authors, Grant and Jane Solomon. 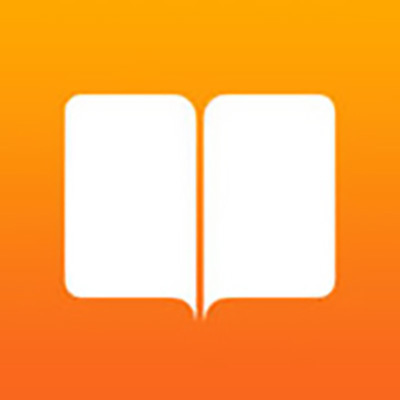 A 314-page book with colour illustrations of the major evidence, intended for the general reader and an international audience. 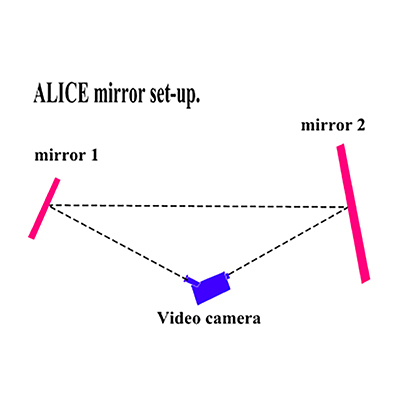 Written in association with the Scole Experimental Group and the three principal scientific investigators, Professor Arthur Ellison (Electrical Engineering), former SPR President Montague Keen, and Professor David Fontana (Psychology). (1999) Publication of The Scole Report. 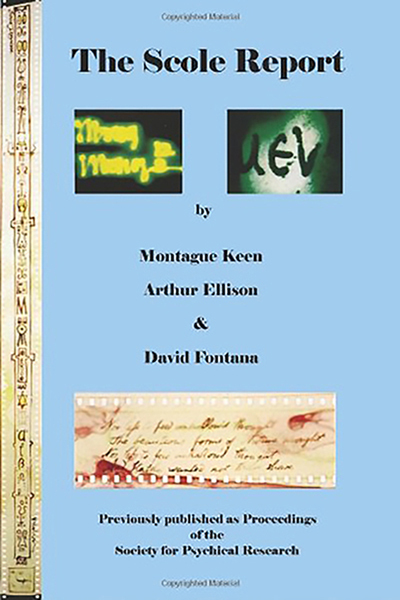 A 334-page, scholarly, scientific, illustrated record of the research conducted by the three principal scientific investigators, Professor Arthur Ellison (Electrical Engineering), former SPR President Montague Keen, and Professor David Fontana (Psychology). (1999) The Scole Debate, Kensington Library, London. International contributors attended the debate to discuss the The Scole Investigation. The Scole Report authors put their case. 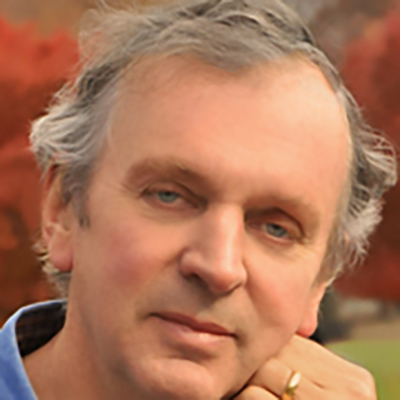 Critics questioned methods and findings. 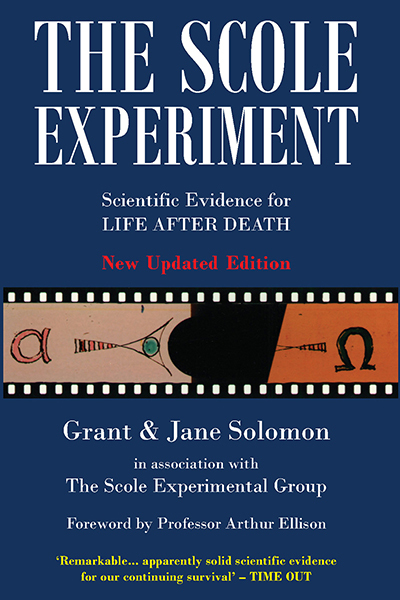 Grant and Jane Solomon, as authors of The Scole Experiment book, were given permission to film the proceedings and interview participants. 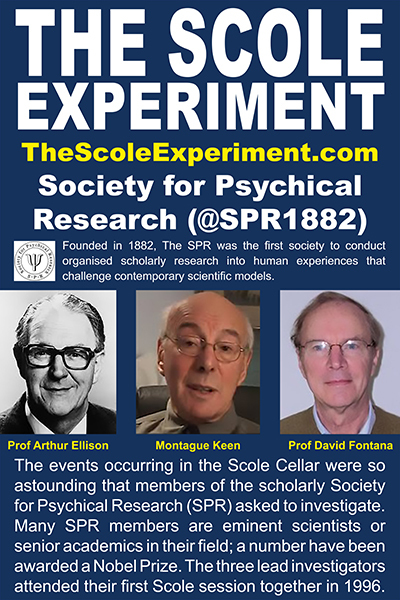 The Society for Psychical Research (SPR) hosted The Scole Debate on 11 December 1999 at Kensington Library in London. ​Grant Solomon, author of 'The Scole Experiment', presents and outlines some of the evidence from the displays exhibited at the venue prior to the debate. 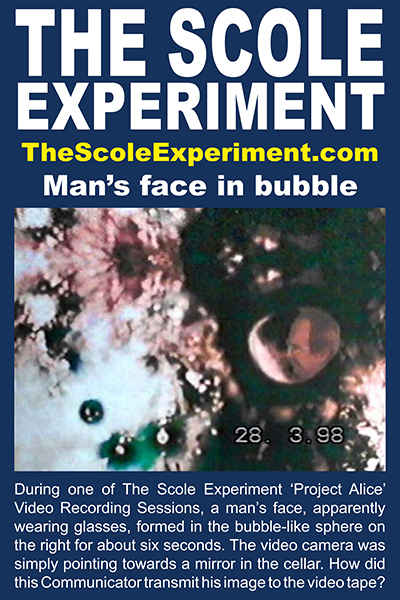 At The Scole Debate, authors of 'The Scole Experiment', Grant and Jane Solomon, were given permission to film. ​Retired lawyer and Chair of the debate, Mary Rose Barrington, presents an opening statement outlining how the debate will be conducted. 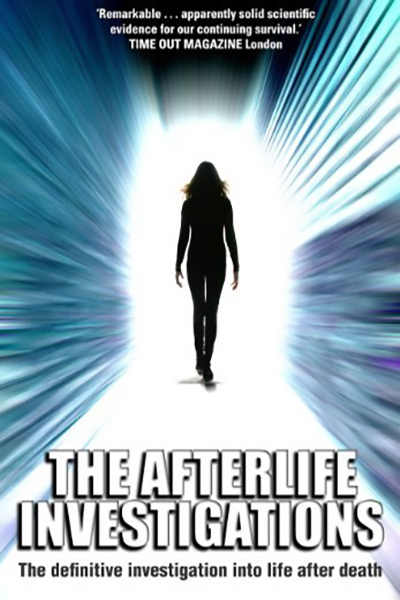 The Scole Debate is covered in more detail in the updated 2006 edition of The Scole Experiment: Scientific Evidence for Life After Death, a book covering the whole five-year experiment. 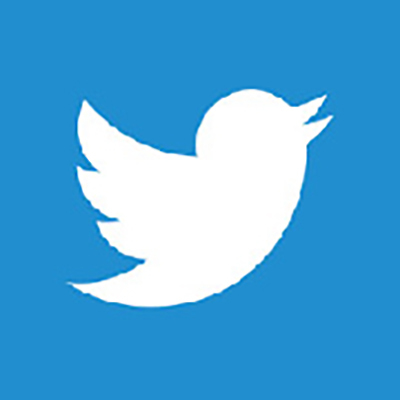 The Scole Report contains detailed criticism of the Report by SPR colleagues of the authors, and comprehensive replies to critics by the principal investigators. George Dalzell's experiences at The Scole Experiment in America were such that he considered it important to travel to London from the USA to present his Witness Testimony at the Scole Debate. He attended one of the experimental sessions at the home of a well-known American medium, Brian Hurst, when the Scole Group visited the USA. 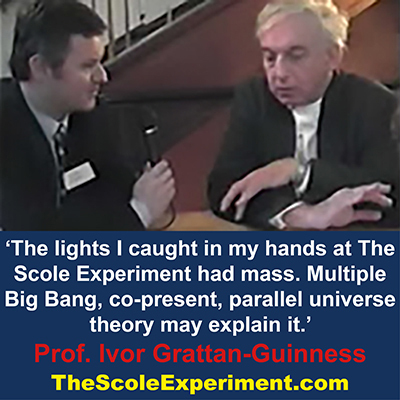 His experience of The Scole Experiment 'transformed a life's worth of limited perceptions overnight'. 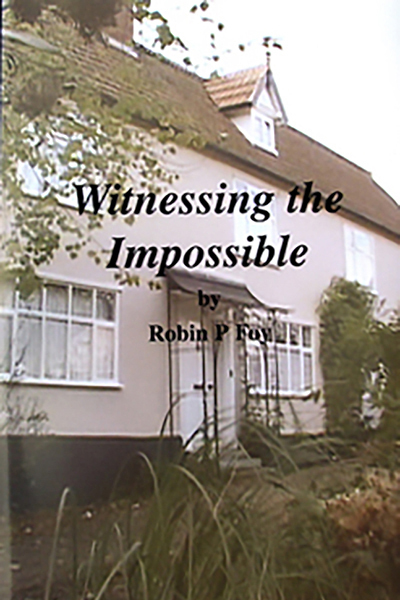 He experienced 'light phenomena which responded to thought' and received 'authentic communication' from a deceased friend. 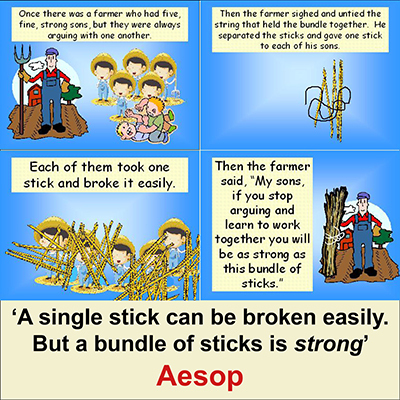 (1999-Present) The Scole Criticisms. 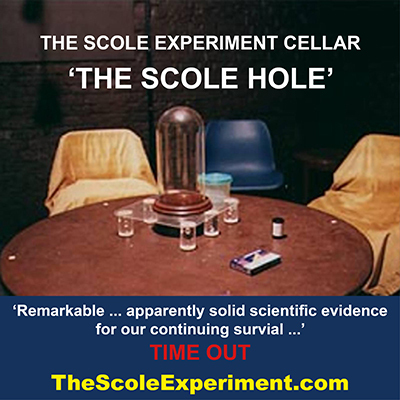 Critics of The Scole Investigation and Report questioned the methods and findings of colleagues who attended The Scole Experiment sessions. These are covered in detail in The Scole Report and will be outlined here in due course. (Present) Skeptics. There are many scientists and others, such as James Randi the magician, who currently self-describe themselves as 'Skeptics'; (we use the US English 'Sk' here, rather than the British English 'Sc', since it now seems to be favoured by most commentators). We have created a category for this very-strongly-held-and-loudly-voiced Skeptical approach, 'Ultranormal Science', to distinguish its proponents from Normal Science, which tends in general to address the issues from a point of view nearer the centre of the spectrum of views. The Paranormal Pantomime: Randi Prize = $1m if you can 'prove the paranormal'; Zammit Prize = $1m if you can 'disprove the paranormal'. 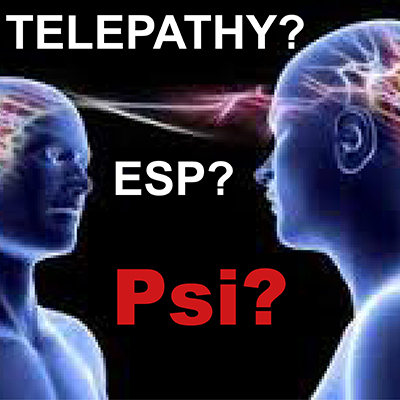 Is this helpful to sensible investigation, study, and debate of paranormal 'psi experiences' reported by millions of people? 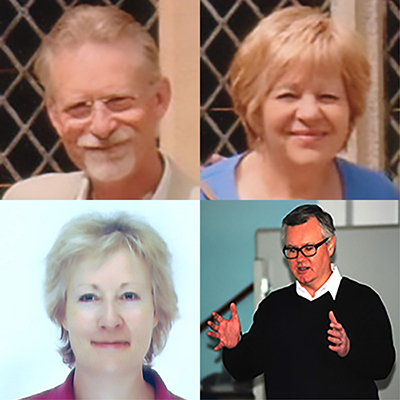 (2005-Present) Beyond The Scole Experiment to The Norfolk Experiment: Response to critics by the 'Team of Many Minds' (the 'Communicators' who made contact during The Scole Experiment) via the Scole mediums, Alan and Diana Bennett. 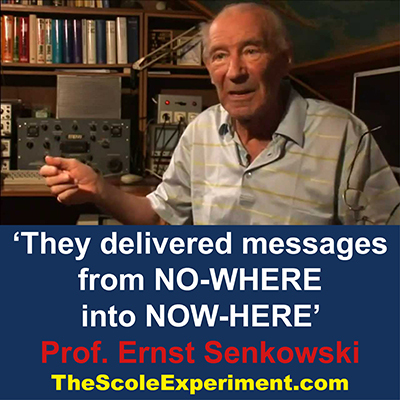 ​In 2005, The Scole Experiment mediums, Alan and Diana Bennett, were contacted again by the 'Team of Many Minds', the 'Communicators' who had made contact during The Scole Experiment. 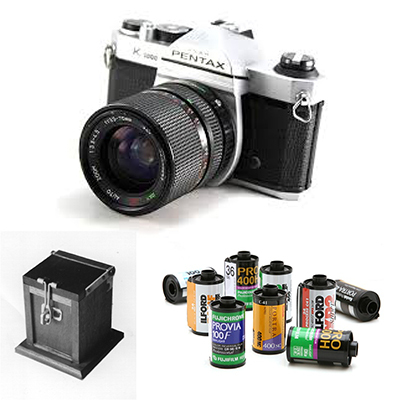 The Team had devised a simple and inexpensive new Crystal Photographic Experiment (or 'CPE') that lots of people around the world could copy. 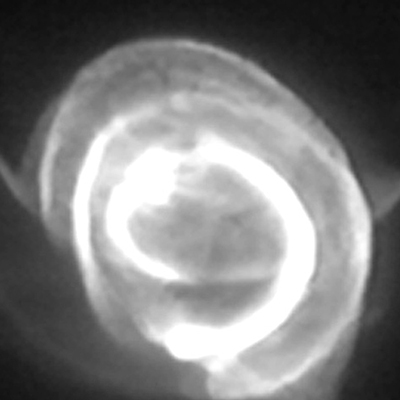 ​This new experiment could be conducted in daylight and also replicated and repeated worldwide; thus overcoming the central criticisms of The Scole Experiment as well as providing the 'many sticks' to make the unbreakable 'bundle' of evidence which will require the scientific establishment to accept the phenomenon as 'normal' rather than dismissing it as 'paranormal' and barely worthy of sensible study. During a meditation session, Alan and Diana's 'minds were joined' and they were 'taken on a journey' to be shown what to do. 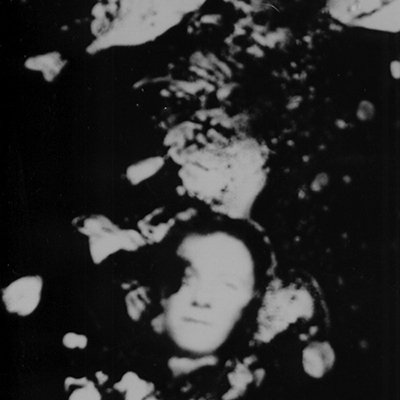 In February 2006, Alan and Diana invited us to their home in Norfolk, England, where they showed us their new experimental work and how it had come about, as well as some very interesting results from the Crystal Photographic Experiments. The Bennetts invited us to participate in order to record and report on events as we did for The Scole Experiment. 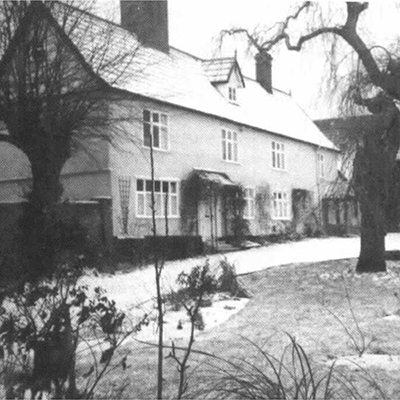 We readily agreed and it was decided that the Norfolk Group, (Diana Bennett, Alan Bennett, Jane Solomon, Grant Solomon), would be formed and the new work would be known as THE NORFOLK EXPERIMENT. 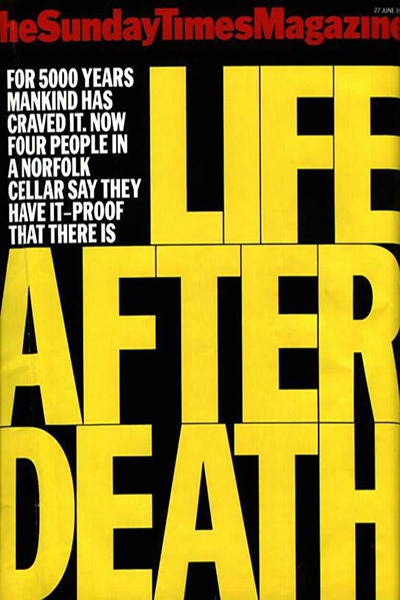 This and subsequent meetings resulted in an Updated 2006 Edition of The Scole Experiment: Scientific Evidence for Life After Death which included new The Norfolk Experiment content. 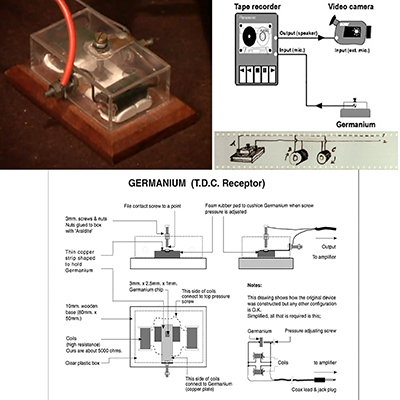 The two videos below show some of the basic setup and procedures for the Crystal Photographic Experiment (CPE) being conducted as part of The Norfolk Experiment. 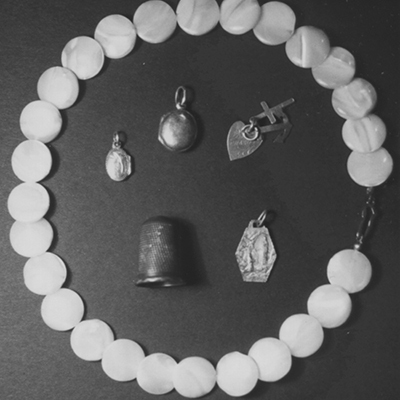 ​It is hoped, now CPE has been shown by the Scole mediums to yield repeatable results over a period of time, that this experiment will be repeated by interested individuals and groups around the world, thus providing more Paranormal Evidence for the reality of surviving personalities in an Afterlife as well as conscious beings in other dimensions of existence.